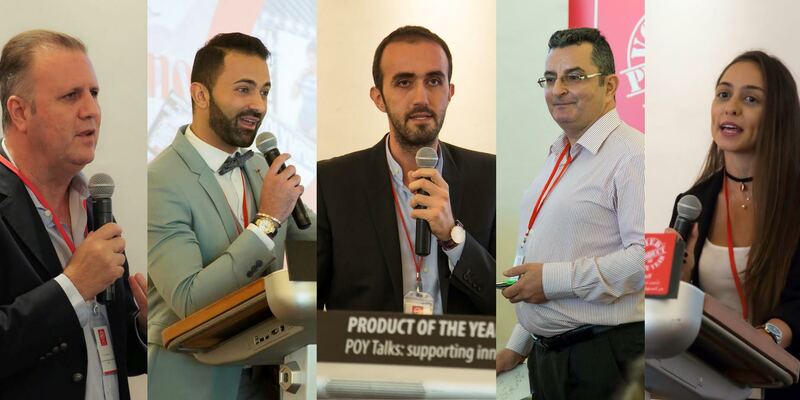 “Product of the Year,” the world’s largest consumer-voted award for product innovation, organized a seminar for FMCG brands on overcoming the emerging challenges in the unfavorable market. The third edition of “POY talks” brought together a distinguished group of international speakers, consisted of four sessions that unfolded the methods to overcome the current economic challenges by optimizing the marketing budget. Entitled “Optimize Your Marketing Budget in Today’s Challenging Economy”, the workshop took place at Dubai Yacht Club. The third “POY Talks” highlighted firm marketing strategies to tackle the highly competitive market conditions with an emphasis on the 5-step marketing model and how FMCG brands could sustain their positive outlook through innovative digital technologies. The eminent Panel consisted of Mr. Nathen Mazri, VP of Branding & Marketing for Canadian franchises and Forbes 100 Saudi Arabia companies, he is also the producer and host of the Hollywood-Dubai show “The Brand Guru”; Mr. Kenan Nashaat, Director of Consulting at Engage Management Consultants Turkey and the Middle East- (ENGAGE); Mr. Scott Hicks Chief Marketing Officer- Next Frontier Digital Investment (NFDI) and Mr. Zadi Hobeika Digital Director- UM MENA. Due to the immediate relevance of the subject, the seminar received an immense response and was attended by a substantial number of participants from prominent consumer brands – it served as an enriching platform for the attendees, providing insights about innovative marketing strategies to sustain growth during the current economic meltdown. The Product of the Year Gulf is the first-of-its-kind independent and prestigious award that recognizes excellence in quality and innovation in the consumer goods sector and is the only one-of-its-kind that is voted 100% by consumers themselves. The Product of the Year label is renowned across 42 countries with the same purpose: To guide consumers to the best products in their market and reward manufacturers for quality and innovation. The Product of the Year accepts entries every year from consumer packaged goods that demonstrate innovation and were launched within the previous year. Entered products are then placed into specific categories such as food, beverages, personal care, household care, etc. with a product then being chosen as a winner in its category through a nationally representative face-to-face study.